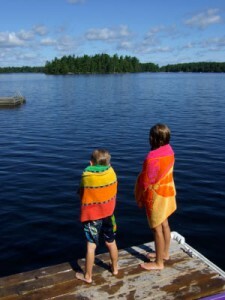 Cottagers begin booking in January which ensures the best selection and the first choice in cottages. We take bookings right into the summer, depending on availability. Check the booking calendar for your cottage selection. Cottages will be added and bookings will change – so bookmark www.windrovers.com and keep checking for updates. Once you have rented with us one year, we will try to send out an early reminder in case you want “your cottage” again the next year. Also no references will be required when you are a repeat customer. You should allow 6-8 weeks to process your request: contact Windrovers, make arrangements for the reservation deposit; receive and review the Rental Agreement and Cottage Booking Information, sign the Agreement and send it back. Thirty days before your holiday the rent must be paid in full. Reservations made less than 30 days prior to the rental date, must be accompanied with the rent in full. Windrovers will forward you information regarding access to the keys and specific cottage directions two weeks before you check in providing we have received the Balance, Security Deposit and signed Agreement. The rent is the amount advertised. In a few cases, HST must be added but not very many. There will be a 4% administration charge added to the rent. The security deposit is 50% of the rent not exceeding $1000, paid by certified cheque or money order. This is due 2 weeks before the start of your holiday. This deposit will not be cashed and will be returned to you as soon as all bills are settled – normally within a month after your rental period ends. The security deposit will be used to pay any additional bills incurred during your cottage stay, eg., long distance phone; or to offset repair of extraordinary damage, eg., a broken window. If the cottage is not left as found, extra cleaning will be debited against your Security Deposit. Any bills will be fully revealed and discussed with you before anything is debited. In addition, any bills not covered by the security deposit will be billed to you. The reservation deposit is 30% of the rent and has to be received within a week of making your reservation to ensure the cottage is held for you. Payment for the rent may be made by cheque or money order payable to Windrovers Cottage Rentals; or by Mastercard or Visa. All payments shall be made in Canadian funds. Service charges levied by the bank due to insufficient funds or payments not cleared will be billed to you. Any cancellation must be clearly communicated to and confirmed by Debbie at Windrovers as soon as possible. We can then try our best to re-rent the cottage for that period. If you cancel 45 days or more before the rental period, we will refund you in full, less the 15% booking charge. If you cancel less than 45 days before, and we cannot re-rent the cottage for the reserved period, we will have to keep any amounts paid. If part of the period is re-rented, you will get that part of amounts paid returned minus the booking charge. Two weeks in advance, the whole amount paid is forfeited. Each cottage has an assigned changeover day – Friday, Saturday or Sunday. Checkout time is 11:00 a.m. and check in time is 3:00 p.m. on the assigned day. It is important that the property is vacant during these hours so that the Cottage Crew can get the cottage checked over, propane tanks changed and do any cleaning necessary. 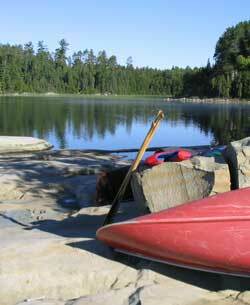 Check your cottage listing to find out what the changeover day is. One of the benefits of renting with Windrovers Cottage Rentals is that you are guaranteed a clean and well-kept cottage. It is expected the renters will leave the cottage and property clean and tidy as they found it on arrival. Garbage should be gathered in the containers provided. Don’t leave bags of garbage outside where animals can get into them. It is advisable to keep all food and garbage always picked up outside and inside the cottage to prevent attracting unwanted pests eg. wasps, raccoons and particularly mice. It has been proven that the cause of bears in cottage country is the easy access to garbage. It is important to make regular trips to the dump rather than keep garbage in or around the cottage or even outside in a container. Be very careful about food of any sort that can attract bears – this can range from a tasty BBQ grill to food left out on the counter inside the cottage. You will need to take the garbage to the dump or put it out for road side pickup during your stay, according to instructions you will receive. Please bring clear bags. Most areas will not accept garbage if it is not in a clear bag and sorted. It is easier to sort it as you go. Sort recycling from garbage according to the directions you receive before you go or are at the cottage – often in the manual. When you leave, take your garbage with you. This includes the bag in the garbage pail. The Cottage Crew will inspect the cottage and take care of the outside work: mow the lawn, fill and change propane tanks and whatever else is required to prepare the cottage for the next renter. You may wish to hire the Cottage Crew to come in and do a cleaning while you are there. Some cottages have phones. They are for local use only. Please use a phone card to make long distance calls. Some locations will not have cell service. Check with your server or Windrovers if there is cell service in the area. Nevertheless, cell service in remote areas can be affected by variances such as whether the cottage has a steel roof or is in a dip in the land. Please keep an eye on the fire safety signs you will see on the way to the cottage or phone the local fire station to find out if fires are safe at this time. Bonfires are not recommended. It is best to have a reasonable, easily controllable fire and be sure to have a bucket of water nearby. When you leave the fire, and especially when you leave the cottage – douse the firepit with water and make sure it is all out. More than one pet will need to be okayed. This includes visitors with pets. Cottages are listed pet allowed or not. More than one pet will need to be okayed. This includes visitors with pets. It is expected that the pet owner will pick up pet poop in the yard and put it in the garbage or appropriate container. Be sure pets are dry before they enter the cottage. Please restrain your pet from visiting the neighbours. Keep them with you at all times unless you use a crate. Do not leave your pet unattended in the cottage, unless crated. Do not allow them on the furniture. You are welcome to have guests but there are certain considerations. Check the cottage listing for the maximum occupancy and be careful not to exceed that. Will the septic and water systems accommodate extra people? The cottage septic may not be able to keep up with overuse. There may not be enough water for extra flushings and showers. You will not wish to be responsible for the septic backing up. Will your guests respect the cottage and its property? We ensure that you are a responsible, reliable person. You will have to take responsibility for your guests. If you plan to have guests, please check with us. If you have any questions or concerns while you are at the cottage – give us a call! Windrovers will strive to answer your questions and address your concerns to your satisfaction. Windrovers would rather hear about problems before they get to be difficult to solve. We want you to be comfortable and have a relaxing holiday. Check the individual cottage lists of facilities and restrictions on the web or with your directions. There is usually a manual left at the cottage that includes things you may need to know – like where the fusebox is and suggestions of where to go in the area for groceries, dining out and activities. Unless otherwise arranged, renters must bring their own sheets and towels. We recommend you bring your own drinking water. Let me know if you plan on bringing motorized watercraft on booking. I generally have a fair amount of information about the dock, lake, fishing, boat launch and so on. I’m sure by now you are aware that you need to have Safe Boater certification to operate motorized water vehicles. Before booking, check for restrictions on pets, smoking, guests, fires etc. Let us know if you have pet or smoke allergies – even properties listed as pet and smoke restricted, is no guarantee that the owner does not have a pet or refrains from smoking at their cottage. We will have that information. If you plan to go fishing, you will need a fishing licence. These can be bought fairly inexpensively at convenience stores and gas stations on the way. Just ask. If you are found fishing without a licence, the ministry can confiscate your gear and the boat. Some cottages have TV Satellite service and most have DVD players. Bring cards, puzzles and board games. Check cottage facilities. Cottages don’t often have wireless service due to their remote and rural locations. Check the listing. However, most have cell service now and so you can get wireless service with an internet stick (USB Wireless Cellular Modem). The renter provides a security deposit that Windrovers hold on the owners’ behalf until after the rental period and all bills are cleared. The security deposit is 50% of the rent not exceeding $1000, paid by certified cheque or money order. This is due 2 weeks before the start of the rental period. This deposit will not be cashed if all is well – or will be cashed and the balance returned as soon as all bills are settled – normally within a month after the rental period ends. If everything is fine when we check and clean the cottage after your stay, we will mail back the security deposit within a few days. To pay any additional bills incurred during the cottage stay, to offset repair of extraordinary damage, eg., a broken window or to pay for missing items. Any bills will be fully revealed and discussed with the renter within the week following the rental. The cottage must be left “as found” (described below) or extra cleaning charges will be charged against your security deposit. Any additional amount for bills not covered by the security deposit will also be billed to the renter. Whoever inspects the cottage after the renter leaves, that is, the cottage owner or representative or Cottage Crew Leader must phone Windrovers the same day to let us know whether there is any reason that the Security Deposit needs to be held. Reasons for holding the deposit must be clear and defensible. Cottage “left as found” – What does that mean? It means that the renter will leave the cottage as clean and neat as it was upon arrival: Dishes done, counters and stove tops wiped down, blankets folded and on the beds, floors vacuumed or swept, and no garbage left behind. At anytime during the rental period that you, the renter, have generated more than one bag of garbage, you should check where the dump is, and what days/hours it is open, and take your garbage to the dump. The information will either be with your directions or posted at the cottage. Copyright © 2019 Windrovers. All Rights Reserved.